A BiPO4/g-C3N4 photoactive system has been prepared by means of a practical ultrasound-assisted procedure in aqueous medium. The obtained hybrid composites were widely characterized by X-ray powder diffraction, Fourier-transform infrared spectroscopy, UV–vis diffuse reflectance spectroscopy, scanning electron microscopy and N2 adsorption–desorption measurements. The photocatalytic features of the samples were examined through the degradation of orange G dye and ciprofloxacin antibiotic, where the higher photocatalytic performance for the degradation of both pollutants was achieved for the g-C3N4 with 1 wt% loading of BiPO4 (1-BiPO4 sample). To explain this outstanding performance, a possible mechanism involving the delocalization of the photogenerated charge carriers in the BiPO4/g-C3N4 system is discussed. Also, total organic carbon analysis and photocatalytic tests with radical scavengers were performed to elucidate the importance of the reactive oxidizing species during the photocatalytic process. 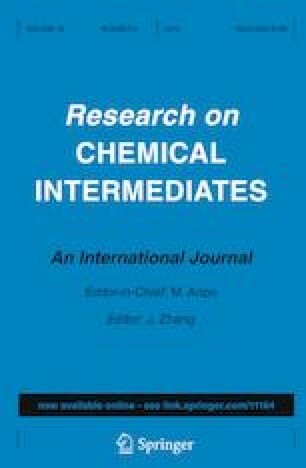 The online version of this article ( https://doi.org/10.1007/s11164-019-03825-0) contains supplementary material, which is available to authorized users. We wish to thank to CONACYT in Problemas Nacionales 2015 clave 610, SEP-PRODEP for the support through the program “Apoyo a la Incorporación de Nuevos Profesores de Tiempo Completo”, clave 511-6/17-7538.